MAGGIE SARGENT is a Registered General Nurse with over 30 years of experience and is an advanced member of BABICM. This followed a career in management of clients in the community. She is nursing advisor to Headway National. In 2004 Maggie published a paper at The European Brain Injury Symposium at the Vatican on caring for clients in the community with PVS and has published other papers on costs of care in the community. Maggie was an invited speaker on case management at the ‘Fifth World Congress for NeuroRehabilitation’, which took place in Brasilia in September 2008, and also at the PEOPIL Annual Conference, which took place in Malta in June 2009. She was chosen to contribute a chapter on care and case management in the recently published APIL Guide to Catastrophic Injury Claims which was updated in 2013. Maggie also presented at the European Neuro-Convention. She was invited to present at The International Brain Injury Association World Congress in New Orleans in March 2017 the largest international conference on the subject of brain injury – and in September 2017 she has been asked to be Honorary Chair of the Nursing Section at BIT’s 4th Annual World Congress of Orthopaedics in China. In 2011 Maggie established the Oxford Group of The Silver Lining Charity providing social opportunities and challenges for clients with brain injury, which has a client group of 20-to-30 service users at present. She also lectures at seminars across the country on costs of care both in the public and private sectors. Maggie is a director of Community Case Management Services Limited covering both the United Kingdom, Europe, and Worldwide. She has her own current case load and is involved in actively supporting and mentoring case managers in the organisation. Maggie is an accredited risk assessor and Manual Handling People Trainer. 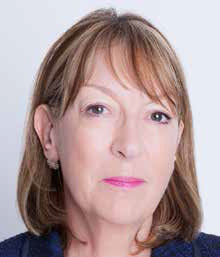 KATE RUSSELL is Co-director of Community Case Management Services Ltd. She has over 30 years’ experience of assessing the care needs and delivering care for patients and clients both in hospital, their own homes and in nursing homes. She was a member of South West Thames Pilot Committee on Care within the Community (Nurse Adviser) and has also worked in the Reinsurance Industry as a Health Claims Consultant developing the Progress Team a fore runner of the rehab code and worked as a technical claims handler. Kate is an accredited risk assessor and people handler. 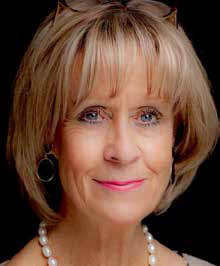 For the last 19 years, Kate has been actively involved as a case manager for a number of catastrophically injured clients, both adults and children, throughout the UK as well as within Europe, Hong Kong and Australia, setting up teams of staff, organising care plans/rehabilitative support programmes, appointing treating professionals and arranging appropriate aids and equipment. Kate is an Advanced Brain and Spinal Injury Case Manager and acts as a Senior Lead Case Manager in complex cases to make sure that whoever has conduct of the case be it claimant/defendant or joint instruction, receive regular case management updates and goal based treating therapist’s summaries, with measurable outcomes to indicate progress combined with regular case management action plans, progress and outcomes. She has developed a comprehensive case management pathway litigation training schedule that all CCMS Ltd case managers have to have successfully completed prior to becoming senior case managers. Following the completion of the litigation pathway training, regular case load reviews are completed to ensure that the service being provided by the case manager meets our standards.